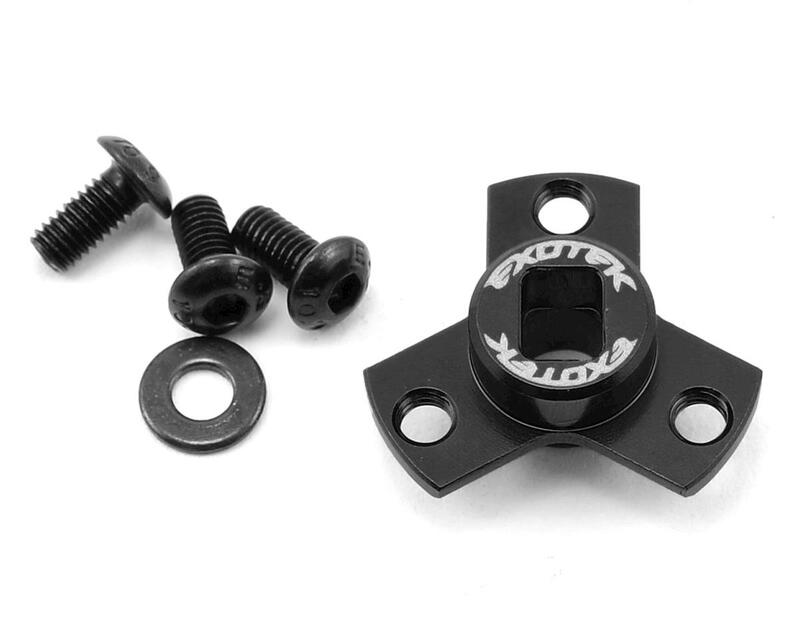 The Exotek Flite Ultra Light Direct Spur Mount is the lightest system Exotek has developed yet. In the world of ultra competitive stock racing at indoor tracks, every grams counts and there is no better way to separate yourself from the pack than having a more efficient and lighter drive train. Less than half the weight of the stock top shaft and slipper, and lighter still than the standard Exotek spur mount set, when combined with our special lightened top shafts. This extra light slipper eliminator spur gear mounting hub is compatible with all B6 series, 22 series and RB6 series buggies and trucks and provides increased acceleration and a cooler running motor. 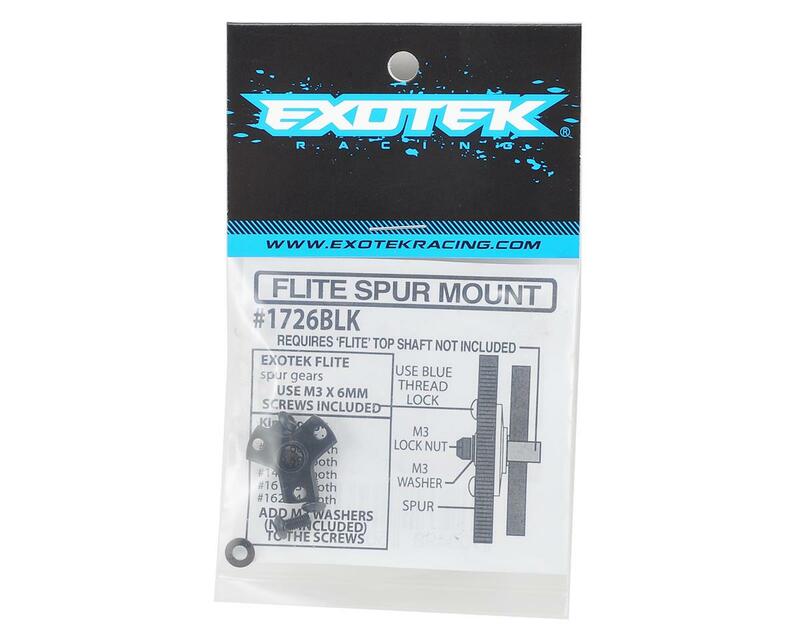 This spur hub is designed for use on Exotek 2017 'Flite' top shafts #1721, 1723, 1725 sold separately. For Kimbrough spurs use M3x5 screws (not included) or M3x6 screws with 1mm thick washers.